Home / android camera / canon eos-M / Digital SLR camera / electronic viewfinder / full / Micro Four Third camera / mirrorless camera / new mirrorless camera / olympus PEN / optical viewfinder / polaroid camera / prosumer camera / Mirrorless Cameras VS Digital SLR camera, which is your choice? 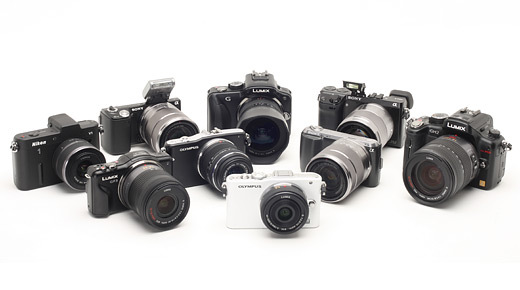 Mirrorless Cameras VS Digital SLR camera, which is your choice? We are very fortunate to live in a digital age, so there are a lot of ease and sophistication of the technology that we can apply, as well as in the field of digital cameras. With the digital technology and computers, we can use different types of cameras and choose more easily. We do not have to bother to print the photo to view the photos. It quickly we can view in the photo on the camera's screen or on the computer screen, even we can do creative work in the camera or using a computer. You can freely choose the type of camera you want according to your needs and the funds you have. 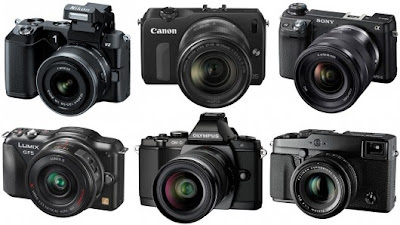 In your camera shop will offer compact-system cameras, Prosumer cameras, Digital SLR cameras, and now there is an alternative which is also enjoyable mirrorless camera. You are free to choose different brands of cameras with various attractive features. For The first time, the system was introduced by Panasonic and Olympus to launch their first mirrorless camera is the Panasonic G1 and Olympus PEN EP1. These two systems are joined together with a few lenses and other camera manufacturers to form a consortium called the micro four thirds system. 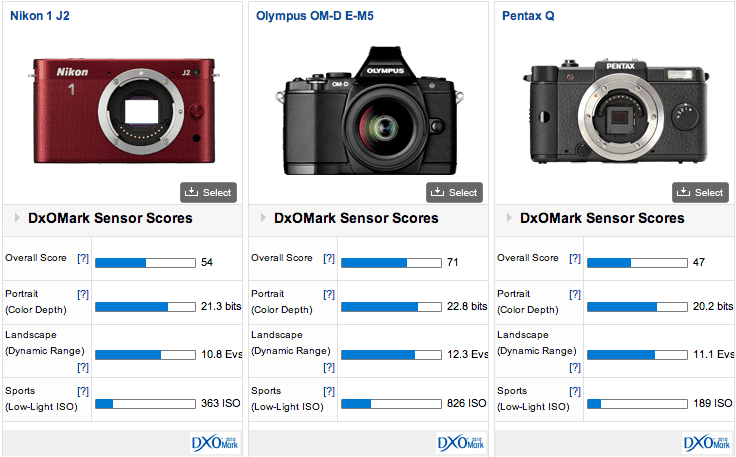 Olympus and Panasonic recently introduced the latest generation of the Olympus PEN EP5 and Panasonic G6. You will see the new development mirrorless cameras such as: Samsung NX, Fuji X, Sony NEX, Pentax K01, Nikon 1, and the Canon EOS-M. Please find information on Google or Yahoo search engine, you will be mesmerized with their development. There are so many facilities and new features that could affect your view and your opinion. 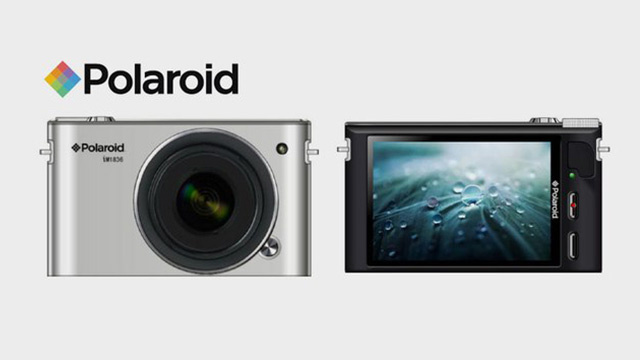 Even the Polaroid has launched mirrorless camera, Polaroid iM1836. It mates an 18.1-megapixel, 1080p video-capable mirrorless body with Android (which we now know to be Android 4.1) to quickly share imagery with social networks over Wi-Fi, or directly to other devices through Bluetooth. That's not the only camera in the Polaroid brand's 2013 lineup, however. Non-Android parallels to the iM1836 are coming with both Wi-Fi (iM1232W) and iM1030 without Wi-Fi, also fixed-in-place lens, the iS2433. Are you interested to try? The size and weight of mirrorless cameras is not too big, not too small. Many mirrorless system cameras have been equipped by Wi-Fi, so you can send your photo collection into social networking media. Now there are many mirrorless cameras that use the Android operating system, Jelly Bean, but mirrorless cameras also get competition from cameras that are attached to a smartphone. Reason for the emergence of this emerging system is most people do not like carrying a big heavy DSLR camera, so the camera and lens system made ​​smaller. You do this by removing the viewfinder prism, and a mirror which makes thick and heavy DSLR cameras. The reason for the emergence of mirrorless cameras is because most people do not like carrying a big heavy DSLR camera, so the camera and lens system made ​​smaller. You do this by removing the viewfinder prism, and a mirror which makes thick and heavy DSLR cameras. During its development, mirrorless system in general has increased quite a lot. From Autofocus speed, quality LCD screen and electronic viewfinder, and a collection of lenses also increase the quality and number, although not yet complete and as fast as a DSLR camera system. 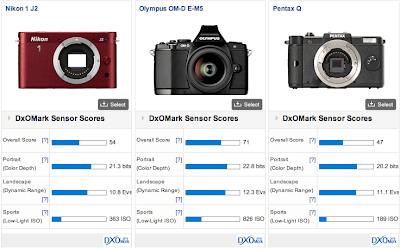 For Autofocus performance, the performance of most of the mirrorless camera still slower than DSLR autofocus systems, but in 2013 there has been a mirrorless camera with faster autofocus. Despite the fairly rapid growth, and excellence in terms of size and weight, these mirrorless systems cannot match or replace the sales volume the DSLR camera system. Many factors led to why the system has not been replaced the DSLR camera, but the most important thing that must be addressed this camera system is a matter of perception of the buyer. In the view of the beginner, mirrorless camera quality is still considered under the DSLR camera system, moreover most sold mirrorless camera above the price of the DSLR cameras. In the eyes of the professional or serious amateur, mirrorless cameras still serve as "a companion or a second camera" to photograph is taken seriously or not is not for professional work. When shooting things serious, experienced photographers still prefer the DSLR camera system. Although almost all brands of cameras now have a system like that of the mirrorless cameras, and vice versa. However, starting this year, the outlook could be wrong. In order to win the hearts of the photographer, so the designers of mirrorless system cameras and lenses have very much homework. They need to prepare more high quality lenses at least on par with Canon L series lenses or gold-ringed lens made ​​by Nikon. It's very good if they also make the optical viewfinder as you find on the Fuji X series cameras. If necessary they will also need to design a mirrorless camera with equivalent sized sensor DSLR full frame camera. Of course, we as consumers want to get a more affordable price. To attract users Digital SLR cameras, compact-system cameras and smartphone, they should facilitate connections and upload photos to popular social networks, providing more options for digital processing in the camera, and most importantly they should dare to lower the price of mirrorless cameras, so we have more attractive alternative.